Isn't it romantic that lovebirds can celebrate Valentine's Day together on the first day of the Chinese New Year? Love coming from all angles - parents, siblings, relatives, friends AND lover. IT'S A BLESSING! Let love linger much much longer this time around cos it's nothing like before. Valentine's Day and Chinese New Year on the same day? There's only one word to describe: Perfect! Even more perfect when we have LuShae Jewelry to let you win some jewelry for your boyfriend/girlfriend! $5000 LuShae Sweepstakes - Win it Now! 2. For automatic entry, pick any of LuShae's jewelry badges and display it on your blog, website or social profile page. 3. Keep the jewelry badge active on your site as LuShae will draw $200 monthly to a random winner. This is one of LuShae cool jewelry badges that we loathe. Now, the sweepstakes giveaway is open to all countries. Anyone can join, so give it a shot! If you really won but not too sure how to spend the money, shop it at nowhere else but LuShae Jewelry online store! And if you like that ring Katy Perry is wearing during her tours, LuShae might have it! LuShae follows celebrity and fashion jewelry trends and make them into one of their jewelry collection made from precious and semiprecious gemstones for yours to own! We hope LuShae brings you DOuble Happines during this season of Love & Prosperity. Enter LuShae's sweepstakes competition here. Joujou & Shugi wishes you a Happy Tiger Year & Sweet Valentine! We would like to inform you that the Chinese New Year is about to begin (it's one hour before midnight) and we are so excited already. To get to visit our uncles and aunts, and receive some angpows (yay! ), the feeling's just wonderful. Hence, we're taking a long long break till 21st February 2010 before we resume for business as usual. 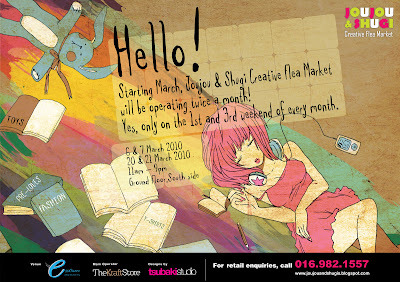 If you fancy a booth at our Joujou & Shugi creative flea market at e@Curve this coming March, pre-book your space anytime now during the CNY holidays. 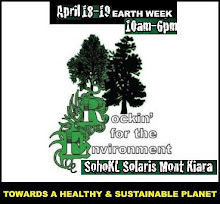 We will be operating twice a month starting March 2010, so if you can't make it for the 1st weekend of our flea market, do go for the 3rd weekend. YES, we'll be operating Joujou & Shugi on the 1st and 3rd weekend of every month! Double the days, Double the FUN!!! To pre-book a space, please register yourself by filling up the online Vendors Form available at the bottom of this page. 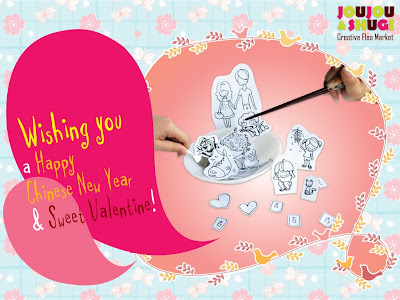 Here's wishing everyone a Prosperous Chinese New Year and Happy Valentine's Day to all lovebirds out there! Q-1: What happens if I pull out on the event day itself? Can I have my refund or bring forward to the next month? In this case there will be a penalty of RM50 against the vendor. The other half balance can be either refunded or brought forward to the next flea market installment. As a Vendor, you will be provided with a space area of 8ft x 6ft including one table (3ft x 3ft), 2 chairs, table cloth and floor carpeting. There will be no power point supply available at the premise for Vendors until further notice. Q-3: Do I get to choose my own spot? No. Booth allocation will be based on the Ballot Draw. More information regarding balloting for stalls will be provided upon acceptance of your Vendors Form. Q-4: Can I pay up on the day itself? No. We prefer your kind co-operation in making advance payment (bank-in or online transfer). Advancing your payment has its advantage such as your space is being confirmed immediately. Q-5: What can I sell? Toys, collectibles, dolls, handicraft, cupcakes, finger foods and fashion accessories. Branded, generic and trader’s own personal collection. Anything goes except for imitations, pornographic or political materials. 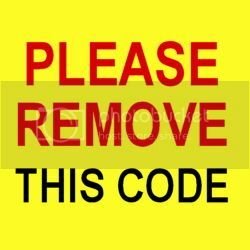 The organiser reserves the right to refuse or limit product/service to be sold. Q-6: Can I bring my own props? Yes, you can bring in your own clothes racks, shelf display, etc to decorate your stall (except for tables and chairs). Q-7: Can I cancel my booking after I paid up? It's ok to change your mind. You can cancel your booking 7 days prior to the event date that you are supposed to attend. However, last minute cancellation is not encouraged at all. Q-8: Where can I get more information? From the blog or you can email Ms. Vi at joujouandshugi@gmail.com if you have further enquiries. Joujou & Shugi is a fan! Become one now! We're a creative flea market. An initiative by The Kraft Store (001740145-M). For bookings or retail enquiries, email joujouandshugi@gmail.com. FYI, Joujou means "toys” in French and Shugi means “craft” in Japanese. Another flea market in town. Only different. The Joujou & Shugi Creative Flea Market is open to anyone who is seriously and optimistically thinking about doing a 'flea' business. Flea markets are favourable among newcomers and seasoned flea market traders mostly because of the low rental and minimal setup with a return of medium-to-high crowd exposure. Nevertheless, we merely provide a space for you to promote your creativity. A space for you to explore a different crowd in a different place at different times. But we do not guarantee sales. It's the show-it-all, do-it-all attitude that you must have in order to install interest in the public towards your products. If you think it's worth the investment in our creative flea market, then we warmly welcome you! Think opportunity. Open up to all possibilities.